Carlson Gracie was one of the most important figures in jiu jitsu, and still is considered today to be one of the best representatives of the sport both as a competitor and as coach through his Carlson Gracie Academy. His legacy will live for many years to come, as many of the world’s premiere grappling teams were directly related to the Carlson lineage, teams such as Nova Uniao, American Top Team (ATT), Brazilian Top Team (BTT), Nova Geração and many others. Full Name: Born Eduardo Gracie, his name was only changed to Carlson Gracie some time after his birth. this change was due to Carlos Gracie’s belief in the power of the letter ‘C’ (and R), which came after Carlson’s birth. Nickname: Was sometimes called Carlsão. Carlson Gracie was born on the 13th of August, 1932 in Rio de Janeiro, Brazil. He was the son of Gracie Jiu Jitsu Founder Carlos Gracie and he became a top competitor in No Holds Barred/Vale Tudo matches during the 1950’s and 1960’s era. He was also one of the finest Jiu Jitsu coaches to have ever lived. His life was filled of turmoil with family feuds as well as scuffles with his own students, though he will always be remembered as a warm hearted person who made history in the sport and as one of the greatest masters to have ever lived. 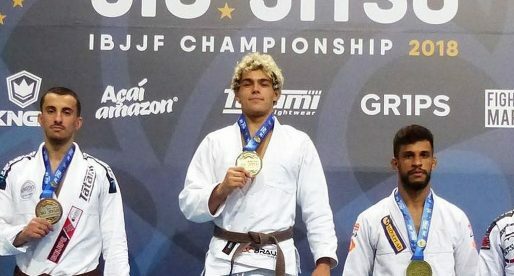 Carlson started competing at the tender age of 5 at the Campeonato Aberto de Jiu Jitsu e Luta Livre, an open tournament between Jiu Jitsu and Submission Wrestling. 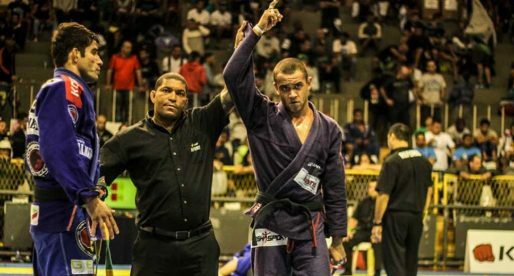 At the age of 17 he won the Campeonato Carioca de Jiu Jitsu Rio de Janeiro’s first ever State Championship. The legendary Gracie was never a avid student, though most of his academic failure came due to the long trips he and his uncles would make to different parts of the country looking for ways to display their family’s legacy of Jiu Jitsu. At the age of 15 he left school to dedicate himself fully to fighting. His first professional fight came when he was 18 against the Judo wiz Sakai who weighed 92kg against Carlson’s 67. That fight was in grappling rules where no strikes were allowed and it ended in a draw as none of the two managed to submit each other during the predetermined time limit. After this fight, Carlson Gracie released a press note challenging anyone in the country to come and fight him. This fight’s revenue would go to a charity fund towards the victims of the drought that was devastating the country’s Northwest region (with which the family had strong ties). Cirandinha, a 100kg Capoeira fighter took the challenge. Carlson defeated Cirandinha by verbal tapout due to strikes from the mount. Carlson continued to compete always trying to improve his skill-set, at the age of 23 he faced one of Brazil’s most renowned fighters, Waldemar Santana was his name, and he had already on his resume a Knockout win over one of Carlson Gracie’s mentors, his uncle Helio Gracie. 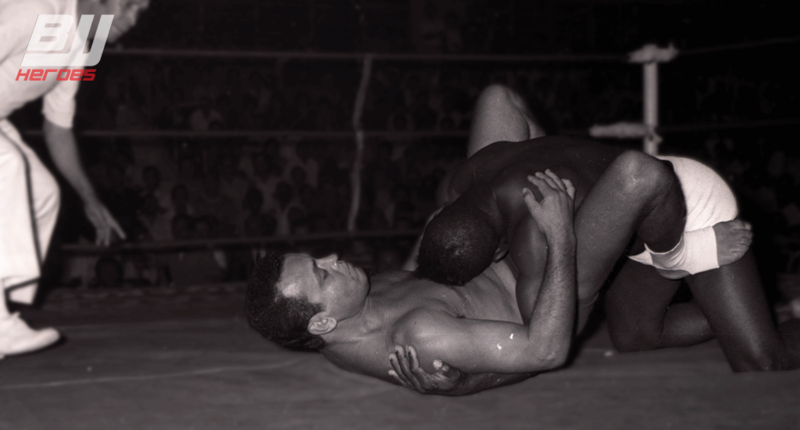 Carlson’s father Carlos Gracie went on record stating that he would give 300,000 real (a fortune in those days) if Waldemar managed to survive his son’s superior technique. Unfortunately for Carlos, Waldemar (according to the records) played a defensive fight and managed to keep at bay of Carlson’s attacks, the fight was labelled a draw and the money given to the happy Santana. Another fight was arranged soon after, and this time Carlson managed to get the fight win he so anxiously looked for in order to save the family honor. The fight took place at a sold out 40,000 seats at Maracanãzinho in Rio de Janeiro, Carlson beat Santana with strikes from the mount. Both fighters met again a couple of years later, although hype and expectation of the 1st two fights had passed away and the 3rd fight was a lackluster draw once again. Carlson was always a creative fighter and teacher, he used to go to the beach in Rio and ask for people to fight him, the challengers could use any methods at their disposal (punches, kicks, head butts, the works) while Carlson would only use his grappling although never submitting. He would wear them out until they gave up. Carlson reigned supreme during almost 30 years. He broke up with Gracie Academy and had a bit of rivalry with his own uncle Helio, sometimes disregarding Helio’s coaching methods. Carlson believed the only way to move forward was to test yourself, and to do so you needed open your knowledge to the public. He opened the famous Carlson Gracie Academy where he started the first group classes in Jiu Jitsu (previously only taught in a one-on-one basis), he also opened the doors of his gym to the lower classes, and allowed students to train without paying, asking in return full commitment and to step up in competitions. In the process Carlson assembled one of the greatest teams that ever competed, with fighters like Ricarido Liborio, André Pederneiras founder of the Nova Uniao Academy, Murilo Bustamante world champion and UFC middleweight champion as well as founder of BTT (Brazilian Top Team), former UFC Light-heavyweight Champion Vitor Belfort “the Phenom”, Walid Ismail (another BJJ legend) among many, many others. This team would break up in the early 2000’s as Carlson was spending most of his time in the United States leaving the Rio de Janeiro team relegated to a secondary stage. Most of the students from Brazil decided to open their own academy though some remained faithful to their master. Always opinionated and charismatic, his loss on the 1st of February 2006 in Chicago, came as a shock to the Jiu Jitsu community. His achievements will be remembered forever. This list was written by Master Carlson Gracie himself before he passed as a way to prevent charlatans or confused people from using his name to promote themselves or any interested party. The list was released in several BJJ newspapers and other media streams at the time. It is not a list made by BJJ Heroes or any other entity and is pretty conclusive. If you have “fantasies” about someone that you think got the black belt from Master Carlson and he is not on the list, he was not a Carlson black belt, get over it! Don't forget the late Franco DeCamargo. 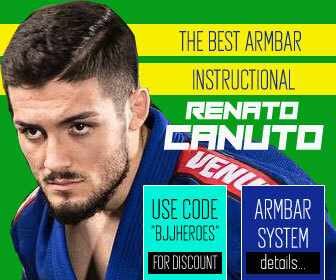 I'm a student and close friend of Master Ricardo and we believe your website is on of the most reliable and complete source of BJJ information on the web. We would like to know what do we need to do to include Master Ricardo on your list. He is a 5th degree black belt and the late Master Carslon Gracie, a member of the original Arrebentacao Carslon Gracie Team and teammate of many legends from that era. 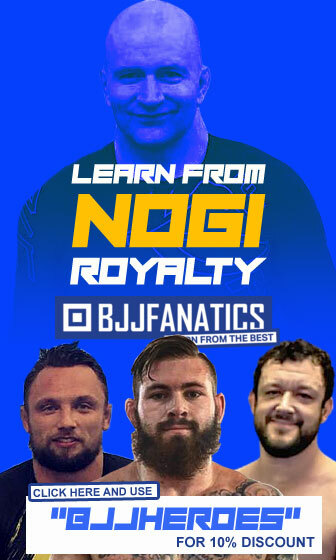 He also has a wealth of information about the beginning of the Jiu-Jiutsu / MMA explosion in Brazil. Cavalcanti is on that list. Antônio Ricardo Bittencourt Cavalcanti? And Pablo Popovitch’s website lists his dad as getting his blackbelt from Crolin Gracie. and ROBERTO DIAS PINI JARDIM ??? Fabio Araujo is also missing. He is a 3rd degree black belt from Carlson. Also like to note that Ruy Menezes is a 3rd degree black belt from Carlson sr. Carlson Jr could back his claim. Ruy was BJJ/MMA head for China Top Team since 2006 or 7 (English isn’t his first language, so what he wrote could be through a rough translator). For further confirmation, please consort Carlson Jr, he will back these two that i have mentioned. Does no one read the article? It says they never made this list, so stop saying they forgot peopl! The complete list taken directly from the main Carlson Gracie Federation website. The list above is incomplete. Wow Georgios, did you not read the article? That's not a list of black belts under Carlson Gracie you have there, that is a list of black belts registered to his federation (led by his son, Carlson Junior). Not the same thing. You are incorrect. 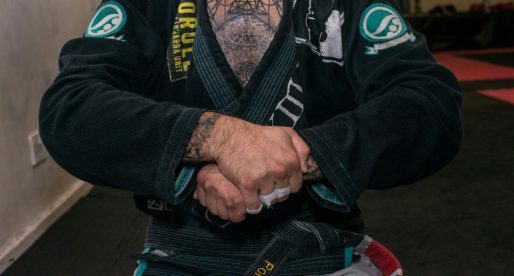 If you read the Federation website, you would know it says "Below are the official lists black belts that were promoted by Grand Master Carlson Gracie and Master Carlson Gracie Junior." It then separates who was promoted by Carlson Sr. and who was promoted by Carlson Jr. Under Carlson Sr., for example, it lists "Franco Cezar De Camargo" being promoted by him directly. Your list does not show him in addition to a few other black belts. See the third post down made by "Gusano." Have a nice day. hey arent Stephan Bonnar and diego sanchez black belts from Carlson too? No, Stephan Bonnar was a purple belt under Carlson when Carlson passed away. He later trained and received his black belt from Sergio Penha in Las Vegas. Diego Sanchez never trained with Carlson. He did, however, make it to at least brown belt with Saulo Ribeiro. I am the Ruy Menezes who trained at Carlson Gracie Copacabana , you are a fake this by putting my name here without my consent . 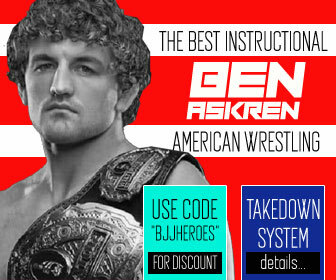 I would ask that the site BJJ ​​heroes erase what is written . My name is Ruy Menezes Jr , I am known as Ruy Menezes , trained with Carlson Gracie Copacabana since 1991 until 2000 , where I graduated blue belt , purple and brown by Master Carlson Gracie . In 2008 I moved to China, where he founded the China Top Team , the first Chinese to sign with the now defunct WEC and later with the UFC is my brown belt in bjj , today I'm riding a MMA Academy in Colombia and will be responsible for being the Carlson Gracie Colombia that will open soon. Was graded black belt in Brazilian Top Team ! Any doubts about my graduations or any other matter that has the name Carlson Gracie here , contact Carlson Gracie jr . I earned my black belt in Brazilian Top Team in 2001 and now I have my team . Thank you Ruy, I knew there was something fishy going on here. Thank you for clarifying. What significance (if any) does the arrow icon next to the names implies? I see that there is one name that doesn't have it; Rinaldo Santos. Thank you, and keep up the great work, excellent site. I’m not Carlson Gracie Sr. Black Belt, I started train Bjj in he’s Gym in Copacabana, Rio de Janeiro ( Brazil) in 1990, and train with all Black Belt there. Just you guys can ask then. My Master Carlson Gracie Sr. Give me Blue, purple and Brown Belt but my Black belt I receive of he Son, Carlson Gracie Junior in December of 2002. You can check too in he website or call to him. A lot of bulshit try put your name in List but it’s not real also this is a. Disrespect with Carlson and Carlson Junior. Some website put my name sayd I’m Carlson Black Belt maybe because I created with my student the China Top Team in China and we did a good job. I recomend you guys contact. Carlson Gracie Junior for clear and say who really make part of the Black Belt List. The biggest lie of all is Vitor belfort getting his black belt . What about Liborio? I don't see his name on the list. Marcus Soares should be on the list of master Carlson's black belts.